As summer ends and is replaced by autumn, the leaves change colors and give us beautiful scenery, and we begin to see the bounty from farming. Throwing a Harvest Party seems only appropriate to celebrate the changing seasons. Here are our top 10 tips for throwing a great harvest party. 1) Use the colors of the season for décor. Set up the tables with autumnal colors, like rich forest green, brown, gold, terracotta, and ruby shades‚ the colors of the changing leaves offer a perfect backdrop for your tablescapes. 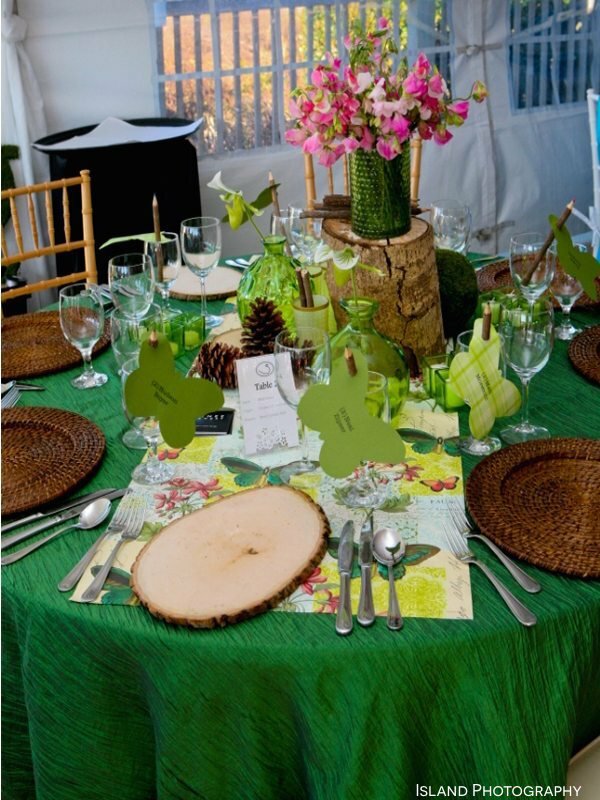 2) Incorporate nature into the table settings. Use small gourds and slabs of tree trunks as décor and trivets, respectively. Incorporating outdoorsy things into the decorations is a great way to showcase the season. 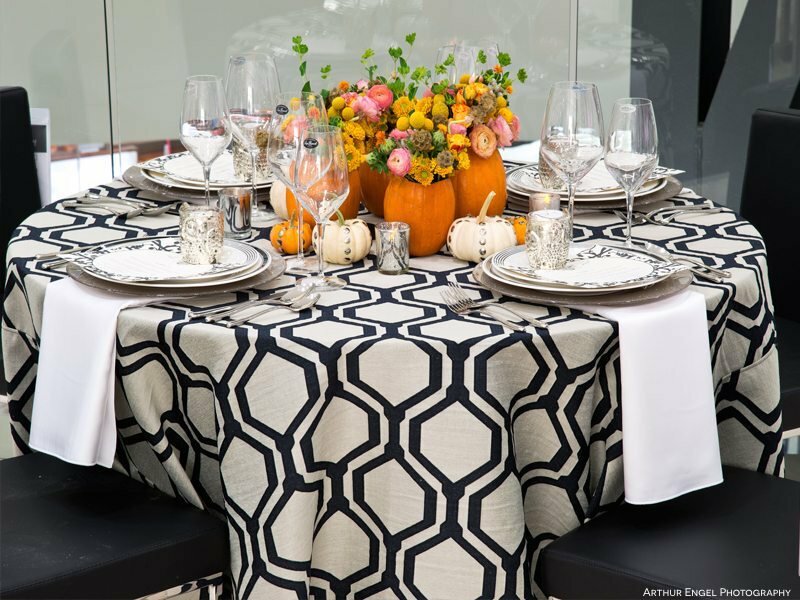 3) Set up fall activities for guests to participate in. Things like pumpkin carving or cookie-recipe swapping can be fun activities for a fall get together. They’re great for all ages and give everyone something to take home after the party. 4) Serve a harvest-inspired menu. From apples to pumpkins, squashes to sweet potatoes, there’s plenty to choose from for your Harvest Party menu. Serve an array of seasonal dishes that will wow your guests. 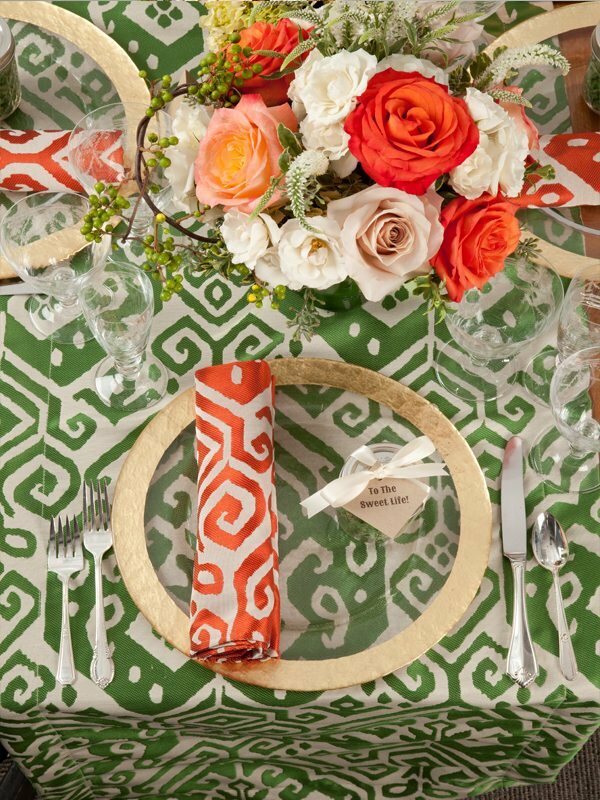 5) Add contrasting or metallic charger plates for additional elegance. 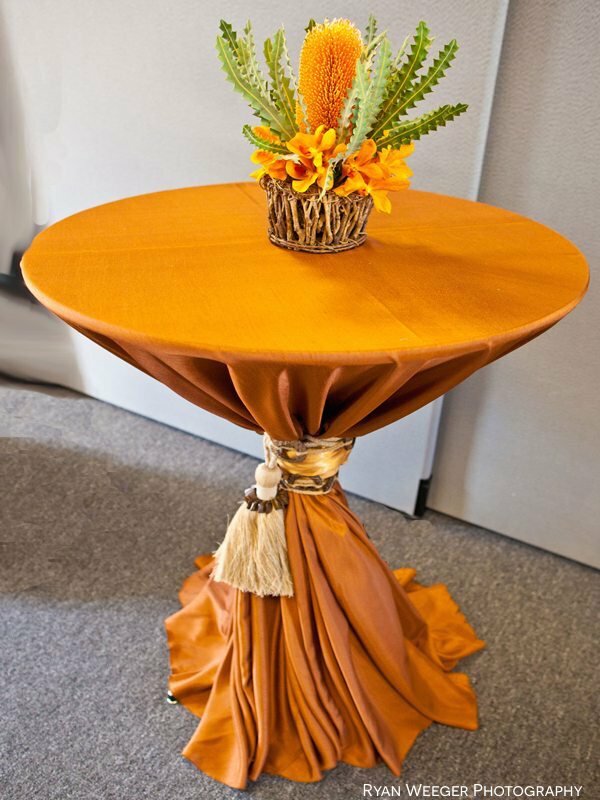 Using autumn-inspired tablecloths for the tables is just a start to what you can do. 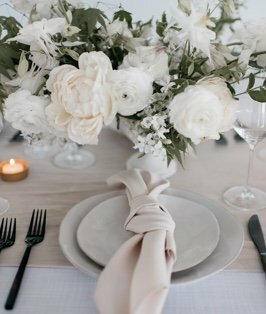 Choose metallic charger plates, or plates in a contrasting color to the table linens, for additional beauty. 6) Go rustic with the décor. Harvest parties don’t require the same type of luxury looks that events like weddings do, so here, you can afford to go rustic. 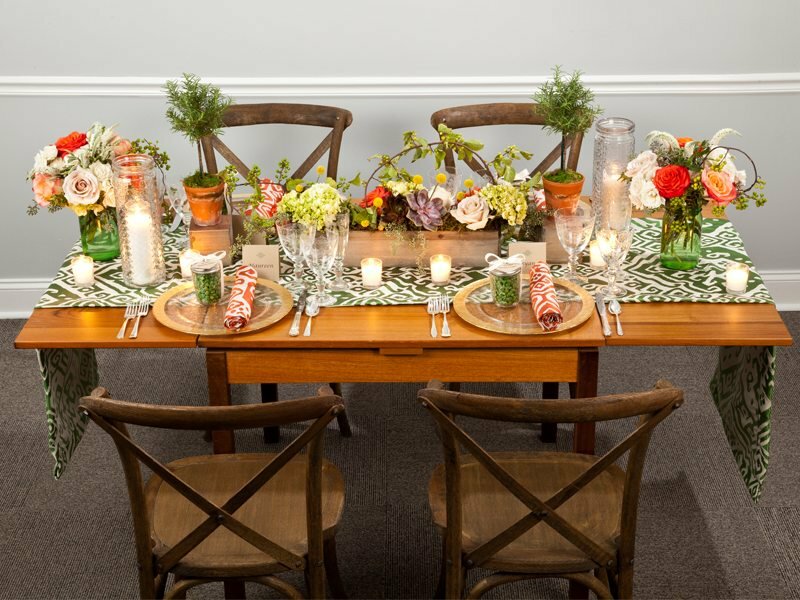 Think of mix-and-match chairs, different color linens at each table, and Mason jars used as drinking glasses. Serve up an assortment of pies like pecan, pumpkin, and Dutch apple, or offer apple cider or pumpkin spice donuts. 8) Create unique lighting that mimics sunsets. Instead of bright fluorescent lighting, use lanterns and candles for a more dim, intimate feel at the party. 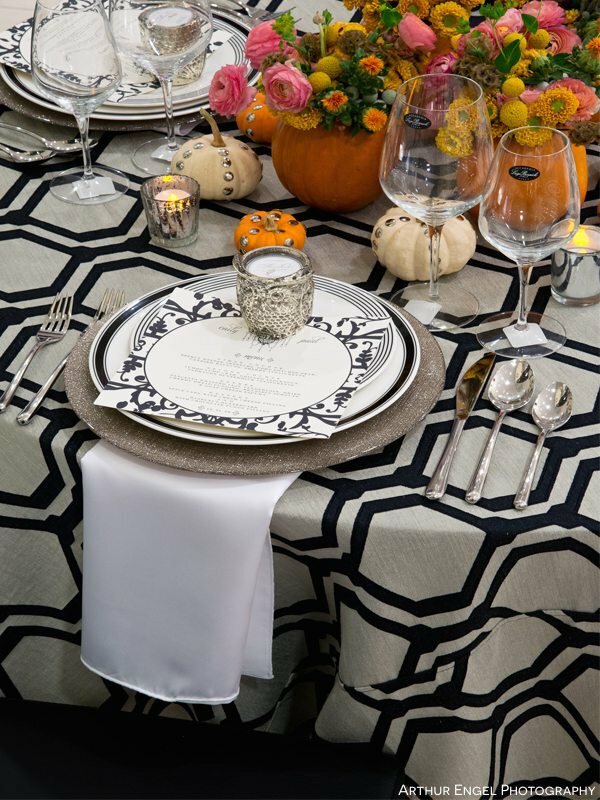 This invokes the feeling of fall and can really make a difference for the event. 9) Set up cute walkways and a path to find the party. Use pumpkins, logs, and candles inside canning jars to create a whimsical pathway to the event’s venue. This is especially perfect if the event is being held outdoors, but it’s seasonally appropriate even if it’s inside. 10) Give out favors of seeds that guests can plant. Let your guests experience a harvest firsthand next year by giving them seeds they can plant at home. 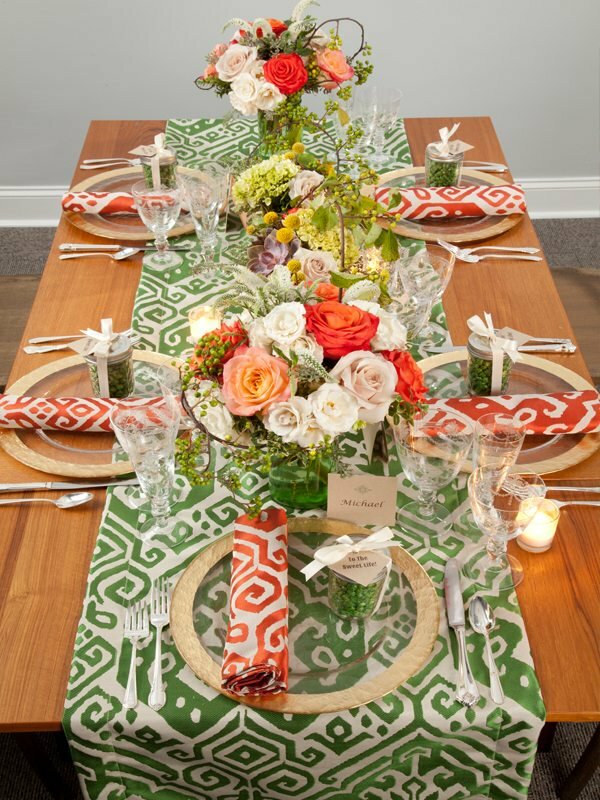 It’s a perfect party favor for a Harvest Party, wouldn’t you say so?